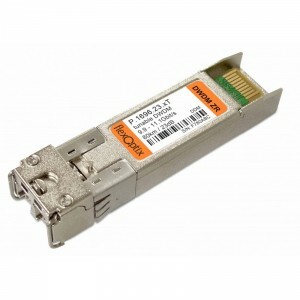 What to consider when doing 10G over CWDM ? (e.g. a G.652 has 0,20dB/km @ 1550nm ). Based on this it is possible to transmit up to 200km with a single transceiver (S.1612.41.xD having a power budget of 41dB) with the speed of 1G Ethernet. you can use the EML based CWDM SFP+ with 14dB power budget and have the full 1270nm to 1610nm CWDM support. To sum it up. While doing your 10G planing you should know the total fiber length and the fiber type (e.g. G.652 or G.655). Take the recommended parameters from ITU-T for your dispersion and attenuation calculation. If you even know the vendor and product type of the fiber than take the datasheet because the actual fiber has mostly a better performance than the standards claim. Disclaimer: I did not use any insertion loss of the CWDM Mux/Demux in my calculation - a rule of thumb for a 8-channel CWDM Mux is 2dB insertion loss per end.